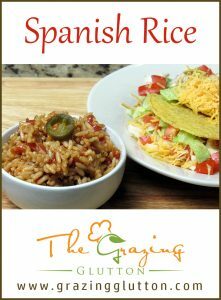 This Spanish rice recipe is very easy to make and is a good choice to mix up your regular meal sides. 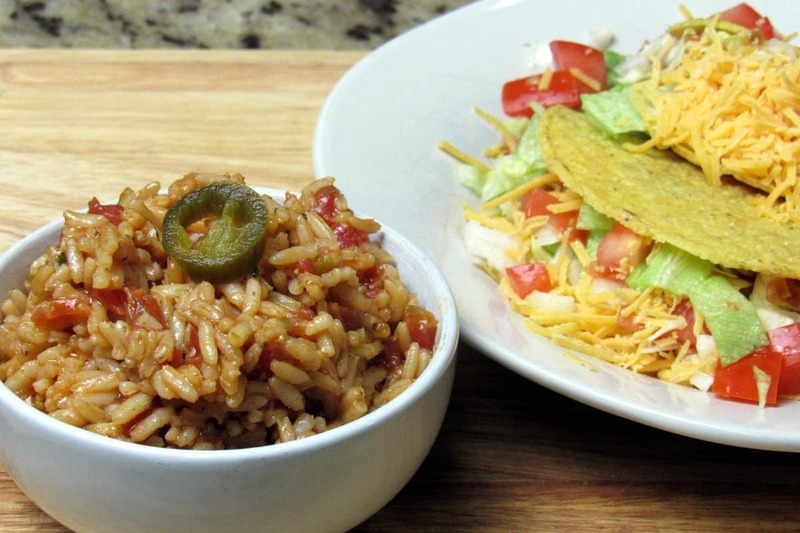 Along with refried beans, Spanish rice is a must-have side in my house when we eat Mexican or tex-mex. 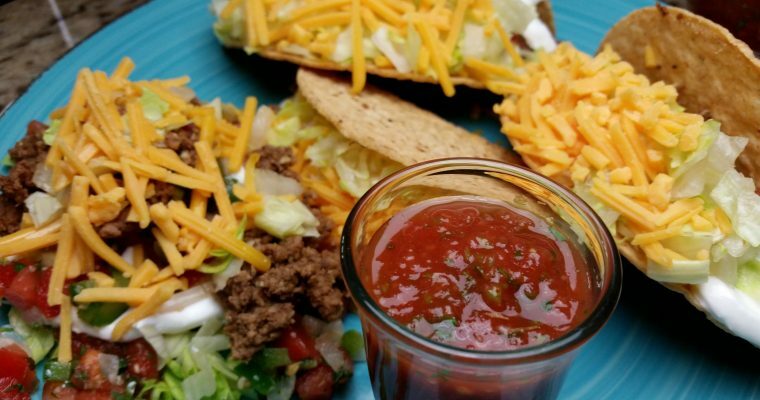 We eat it on the side with tacos, enchiladas or quesadillas. Sometimes I even stuff burritos with Spanish rice. 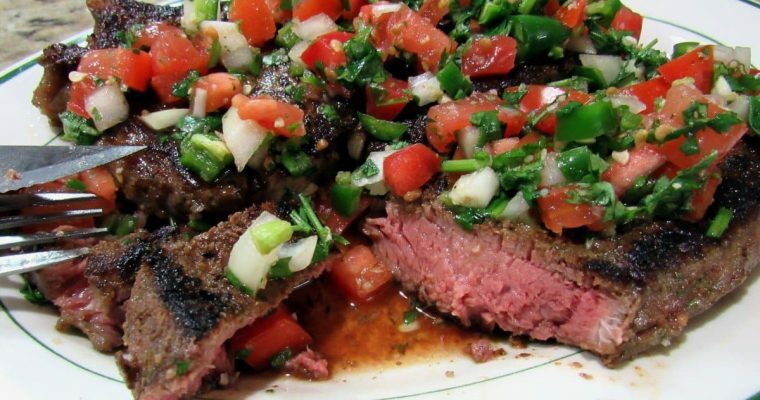 This side is also great with baked or fried chicken, pork chops or steak. 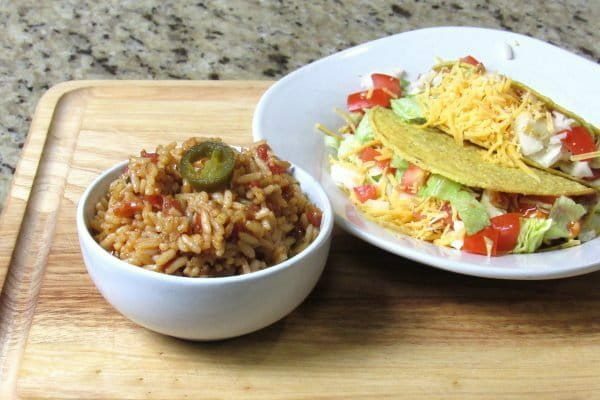 This Spanish rice recipe is very easy to make and is a good choice to mix up your regular meal sides. 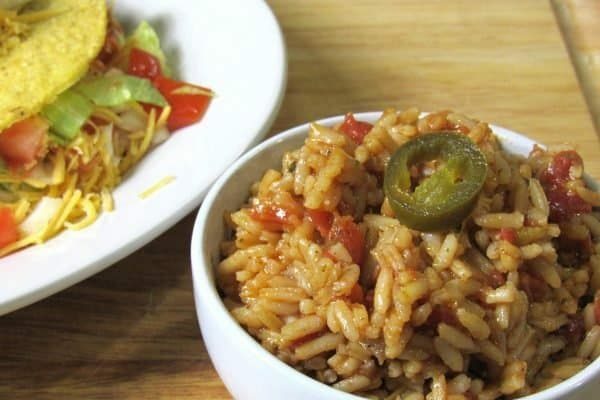 Along with refried beans, Spanish rice is a must-have side in my house when we eat Mexican or tex-mex. Gather all your ingredients together. 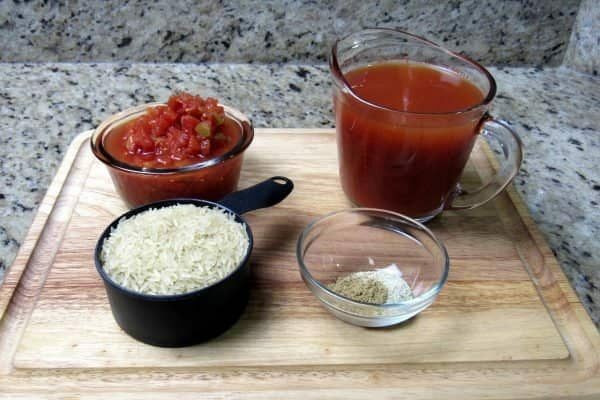 I mix my chicken broth and tomato paste together before moving to the next step. 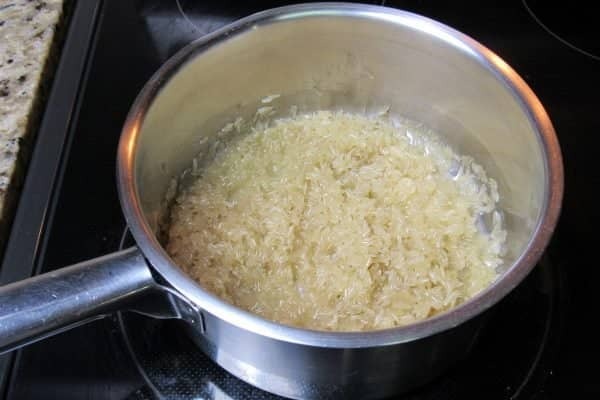 Add your rice and brown it being careful not to burn it. Add the rest of the ingredients and mix. 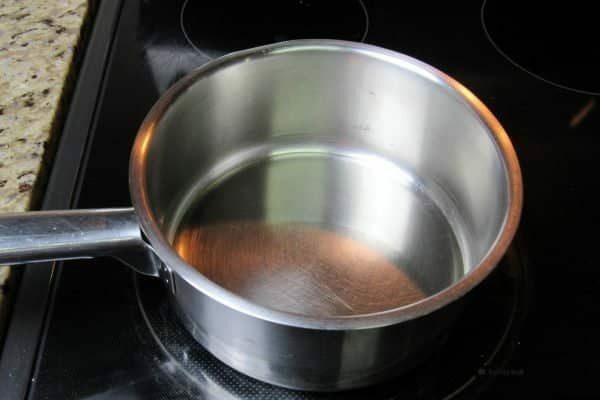 Bring to a boil, lower heat to simmer and cover. 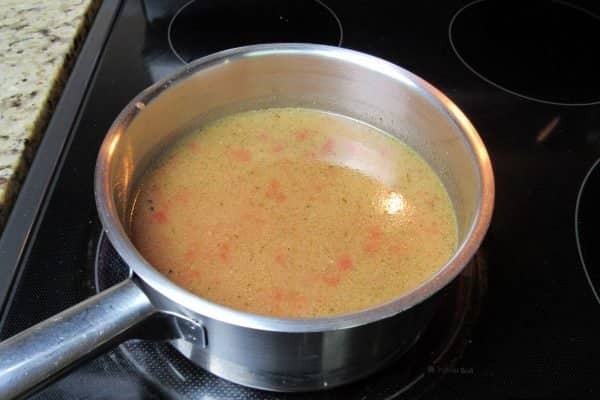 Simmer on low heat 15 minutes. After 15 minutes remove from heat and let sit covered 5 minutes. Do not remove the lid after you first cover it until the rice is done sitting 5 minutes.